Dana Hamerschlag is a strategic technology leader with a track record of launching innovative and new cloud-based solutions for learning. In her role at Miller Heiman Group, Dana leads the global product organization and is driving the continued innovation of the Be Ready suite of solutions. She brings more than 15 years of experience in technology companies backed by venture capital and private equity, where she has run product management, product marketing, strategy and operations. 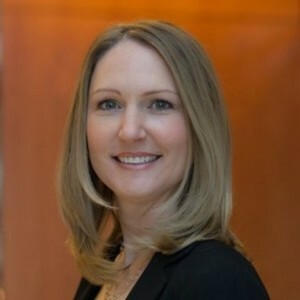 Previously, Hamerschlag served as vice president of product management at Ellucian, where she led the CRM business and significantly grew revenue from $0 to $38 million and paved the way for a $3.5 billion transaction. She spent the early part of her career at The Boston Consulting Group, where she led transformational change efforts, organizational redesign and strategy projects for clients across a wide variety of industries, including consumer products, industrial goods, healthcare and technology. Dana Hamerschlag has been a guest on 1 episode.